I loved my Lite-Brite as a kid. There was just something about using those little multicolored pegs to make my own designs, and it's not exactly a secret that kids love anything that lights up (LED sneakers, anyone?). 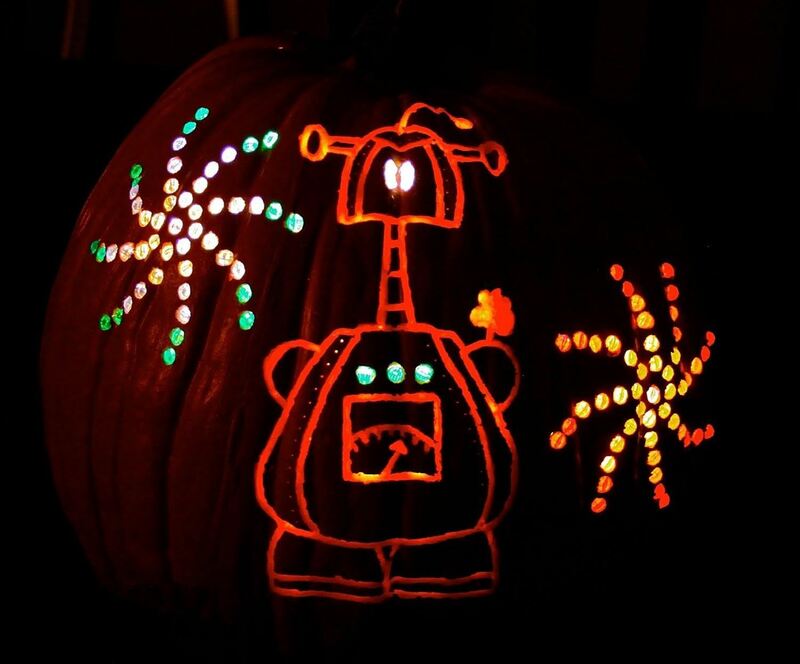 So how do you combine the old-school fun of Lite-Brite with pumpkin carving? 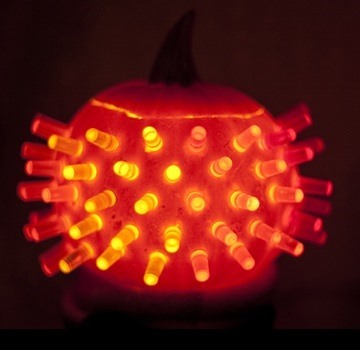 With a bedazzled jack-o'-lantern, of course. 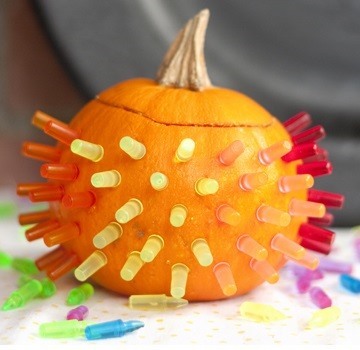 Jen over on Epbot came up with this adorable idea that uses a foam pumpkin (aka funkin) and glass gems and beads to create a Lite-Brite feel. 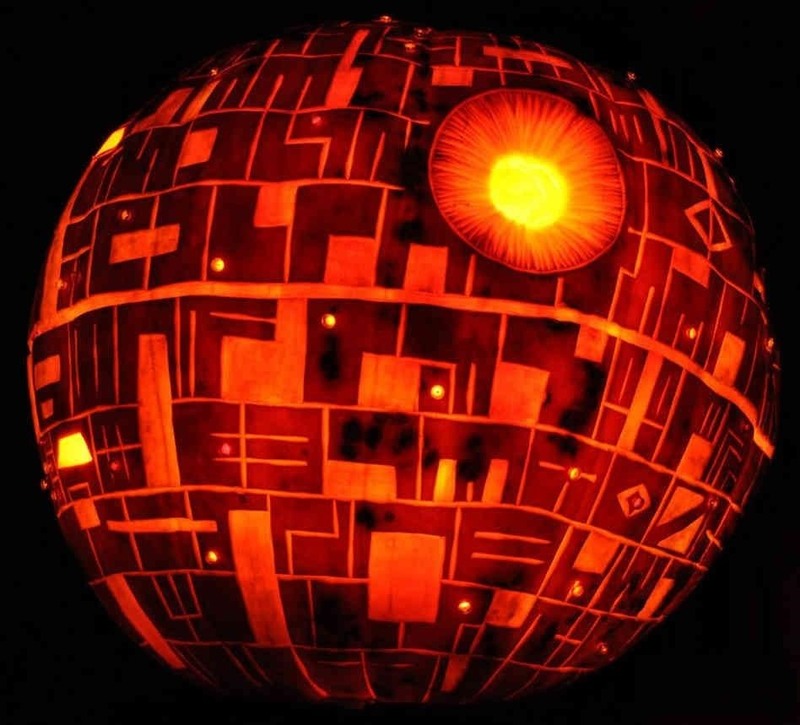 She printed out a pattern and taped it to the pumpkin, then used a nail to poke holes in the shape of the pattern. 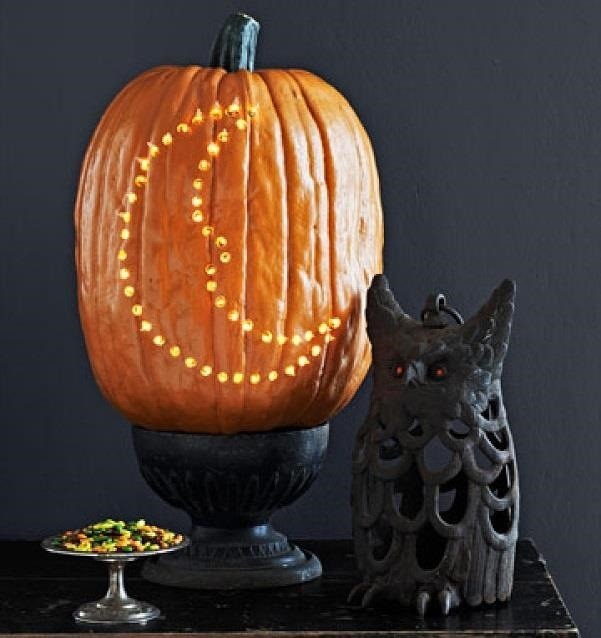 Once the outline was there, she used a Dremel tool to carve deep lines into the pumpkin. 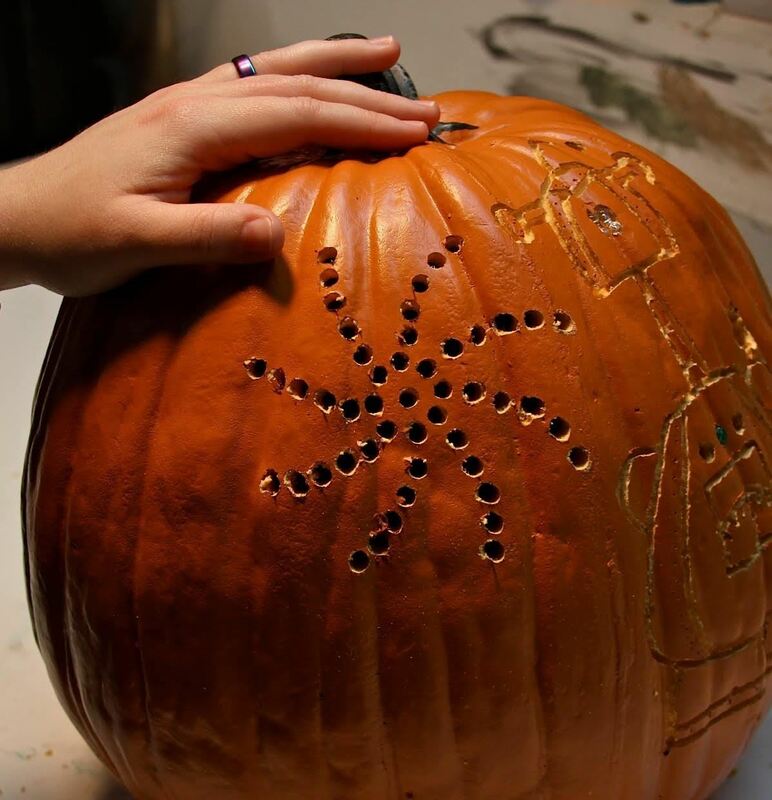 For the spirals, Jen drilled holes the same size as the gems so they would fit snugly and stay embedded in the pumpkin. 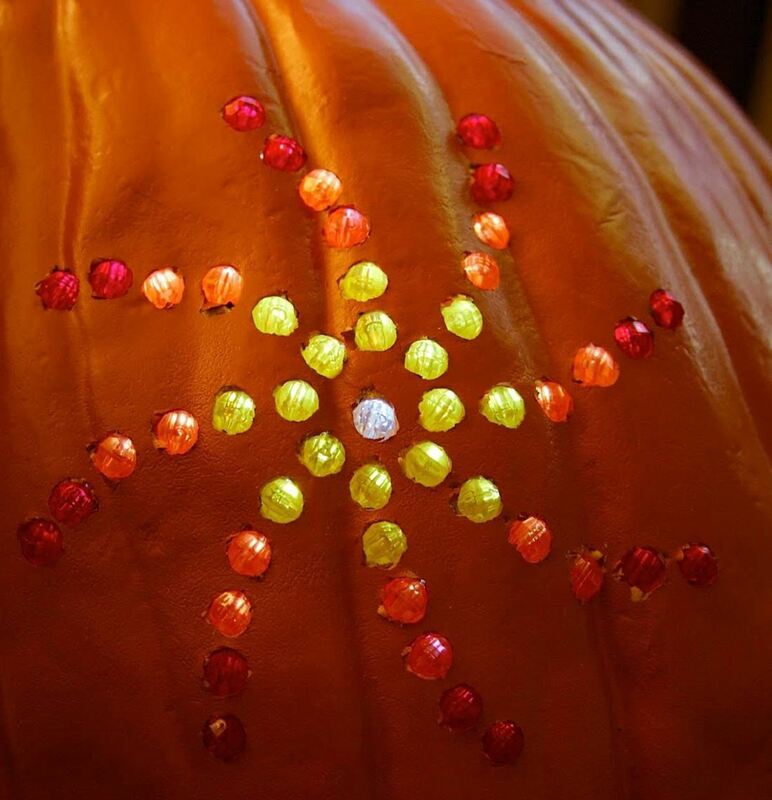 If you want to make your own bedazzled pumpkin, you can print out a picture or even use the tool on Hasbro's website to create a custom printable Lite-Brite template that you can use for guidance. You can even buy a pack of the pegs and use those instead if you want to make it easier. 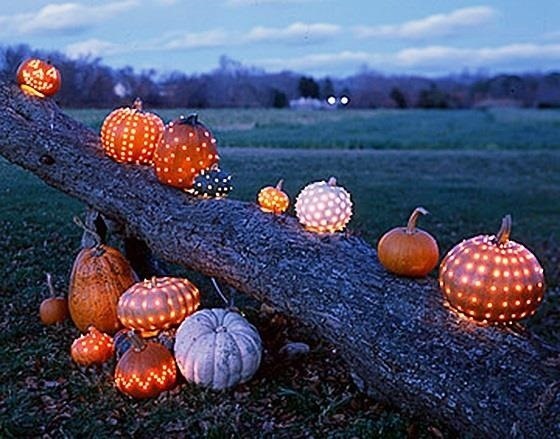 For inspiration, check out these examples of some other fun ways to light up your jack-o'-lanterns. 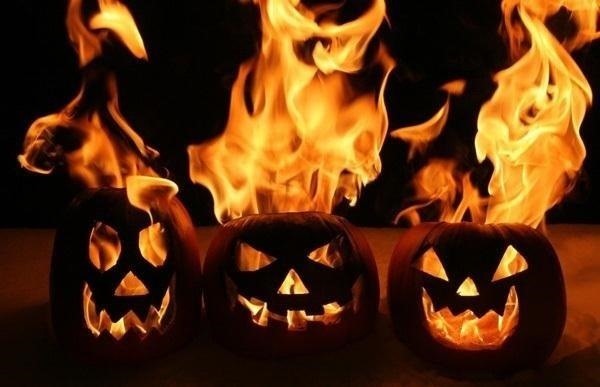 Got your own unique and awesome way of lighting up jack-o'-lanterns? Share a photo with us in the comments!